The pharmaceuticals market is approaching $1 trillion; that’s with a “T”. And by 2021, it’s projected to grow another $200 billion. Allergy medications, both prescription and over-the-counter, account for well over $11 billion, according to the Allergy and Asthma Foundation of America. Just the top 10 OTC (“over the counter”) allergy brands were credited for almost $2 billion of the market in 2016. You hear the words “trust” and “authenticity” associated with influencers. With pharmaceuticals nothing is more important because you’re actually putting something in your body. Of course you’ll typically rely on the advice of your doctor but physicians have choices when they prescribe. For OTC brands, influencers may be even more important because of the fierce competition from generics and private label brands at stores like Walgreens and CVS. And you probably don’t have a doctor recommending a product to you. If a consumer scans their Instagram feed and one of their trusted Instagrammers uses a particular brand of non-drowsy antihistamine, you can bet that consumer will spend those extra dollars. Oh Those Scratchy Compliance Issues! The challenges for OTC meds can be onerous for a brand team or agency embarking on an influencer campaign. For prescription medications, it can seem downright overwhelming. For example, if the pharma company conducts any review of the influencer posts (and they will insist on it), the content must be FDA approved. You heard that right: the FDA needs to approve the language used in an Instagram post promoting a prescription drug. Fortunately, there are ways to expedite this process which fully satisfy the pharma legal teams. Another headache is monitoring for adverse events and off-label claims in post comments. In short, if some random commenter states that the promoted medication made their nose fall off, or whatever, it must be reported to the FDA. Pharma companies are deadly serious about this and you’ll have to prove you have the technical wherewithal to monitor the posts via periodic audits. One workaround for most of these restrictions is to do an unbranded campaign, with a conversion link to a brand-owned property. But be aware that pharma legal departments will still impose significant delays on your campaign if you’re not prepared. As usual, if you need advice on your campaign, reach out and we’ll do our best to set you right. On the search for allergy influencers? Be aware that the results will be running with alternative type remedies, which may or may not be your thing but will definitely not be a thing for a pharma enterprise. At Mattr, we tend to work with higher level mid-range influencers; professional content and attitude but still eager to please – the sweet spot. For categories, Moms make terrific pharma/health/allergy influencers. Also look to travel influencers, who know how to travel prepared. Just make sure to give yourself plenty of timeline when you plan out the campaign. Jen is an inspiration with no humble brags on how fit and cool she is! As a personal trainer and yoga teacher, she’ll enthusiastically carry the health cred all the way for your brand. Her engagement is excellent at 3% with an audience of about 21,000 followers. We look for influencers with engagement rates over 2% and a consistent look and feel to their feed. Leigh Ann nails it! Her food pics are beautifully savory and kid pics cute and candid – perfect! L.A. based Kiitan is quirky and fun. Her content is primarily beauty-based but also tosses in gorgeous travel content. Her engagement is impressive, earning nearly 14,000 likes per post for an average rate of about 3%. She’s a true pro so you’ll enjoy working with her! Marquis hits all the right notes: bright, joyful aesthetic, polished content, and high engagement rates. She primarily posts sponsored content for kids, so Marquis could be ideal for children’s allergy formulas. Irresistibly so damn cute! Irresistible engagement (>10% on 90k followers)! Gabrielle posts beauty and lifestyle but tons of kid pics. Her content is fresh and candid, lacking the post edit polish of other influencers with similar reach – works for her! Like plunging into a freezing California surf on a hot day, Nolan’s pictures will take your breath away. Nolan does sponsor content, but not a lot – and his monster engagement rates reflect a dedication to his craft of sharing his visually intriguing and stunning content. Sometimes you just want a pure-play travel influencer! Travel journalist Oneika Raymond reads big, fun, and colorful, with visually engaging pictures from locations all over the world. With a much more than respectable 3.3% engagement rate on about 75,000 followers, you’re sure to feel good about working with this professional. Pharma campaigns require special tech and attention, about 3-4x planning time, and professional, motivated influencers. The payoff can be substantial, though, because the influencer model is particularly effective for products which require high levels of trust. If you need advice or help, we’re just a click away! Winter can be brutal and spring brings a time when we can finally get our lives back in order. A lot of people are looking to change up their diet or fitness routines, but one of the major ways to freshen our lives again is through spring cleaning. And, with the popularity of Tidying Up with Marie Kondo, everyone will be on their spring cleaning game this year. Cleaning products, organizational tools, and any basic home essentials are just a few types of products that see a rise in consumer engagement during these months. Using mom and dad influencers to show how they tidy up, clean the house, or reorganize, can inspire your target to go all out for spring cleaning. And this goes beyond just families; college students, teachers, and businesses can show how to take advantage of spring cleaning. David Clark – The past few years may have been all about the mommy bloggers, but there are tons of reasons to leverage dad influencers this year. Not only are there some fantastic dad influencers out there, but new studies show that men are engaging with influencers more than women. An impactful dad influencer, like David, could be perfect to show cleaning products, such as stuff to help tidy up after kids or clean up after a family meal. Janea Brown -What better way to be inspired than looking through a beautiful and cozy home? Janea’s page will have you wanting to redecorate and freshen up your entire home in no time. Janea encourages her followers to create happiness through creating happy homes. Fresh plants and a clean look and feel makes her a perfect influencer to show how spring cleaning can help cleanse the soul. Ashley Marquez– Spring cleaning is more than just cleaning at home. It is a time of year for everyone to get organized and start anew. This includes teachers! Classrooms can be chaotic and teacher influencers can show how to clean and organize the spaces in the best way for learning! If you are a teacher looking to better utilize your space in the classroom, there couldn’t be a more perfect influencer for you than Ashley. Aside from her perfect Instagram page, she also has a podcast dedicated to motivating other teachers by sharing tips and tricks for the classroom! Lynzy Coughlin – We, of course, couldn’t forget a great mom influencer. It’s not hard to see why they are dominating social media and influencer marketing. Lynzy has to be one of our favorites. Although she has some high quality content and extremely high engagement, her adorable, and sometimes chaotic content still makes her feel more relatable than other mommy bloggers out there. Never afraid to get real about motherhood, Lynzy is a great mom influencer to show realistically how to stay clean and tidy with a crazy busy household. Ria Safford – Marie Kondo isn’t the only influencer out there focusing on organization. There are plenty of inspiring influencer how there to help you take your house arrangement to the next level. Ria of “Riorganize” focuses solely on how to keep your house organized and utilize the space you have through tips and tricks. Wendy Graham – Last, but not least, we couldn’t forget to include a wonderful account dedicated all to cleaning. Wendy, of the moral fibers blog, is a UK based influencer who posts about organic cleaning products, sustainable living, and how to stay green. She’s even the author of a green cleaning book called “Fresh Clean Home”! She will inspire your spring cleaning to be more eco-friendly and healthier for the family. Spring cleaning is more than just mom bloggers in the kitchen. This is a time of year for everyone to re-freshen and that goes further than just the home! It’s time to stop just directing cleaning products to moms, dad influencers are here to stay and have proved themselves to be just as impactful in the space! Although the weather may not reflect it, spring is here and depending on where you live, you probably couldn’t be happier about it. The snow has melted away and it’s time for marketers everywhere to awaken from their winter hibernation. While January and February can often be a slower time for brands, the winter slump is over and springtime brings some great opportunities for influencer marketing – including spring travel! Olivia Rink – Olivia has had some of the largest growth in an influencer we’ve seen in the past couple years. Her incredible style, insanely high engagement, and authentic sponsored posts have made her one of the most sought after influencers on the platform for brands. Her page is also incredibly broad and covers everything from fashion to home to travel to beauty. Her colorful and fun aesthetic and trusted opinions on travel make her the perfect influencer for music festivals this spring. Tiffany Darlyn – It can be difficult to travel as a big family. You want someone to look up to that knows what it’s like to travel with several young kids. That’s why Tiffany makes for one of the best influencers to show how to travel with children. Great content and an inspiring, yet still relatable, feed show why she has garnered her huge audience across multiple platforms and a great influencer to show spring break travel plans while the kids are out of school! Allie Adams – You can’t talk about spring travel without bringing up spring break travel. It’s the biggest time of year for college students to road trip or fly to a beach destination and escape classes for a week. Who better to give suggestions on how to do it best than a college influencer? Allie has some great content, she’s super connected with her school, has high engagement, and a college life straight out of a movie. College influencers, like her, can show the best destinations, hotels, or car rentals to use for spring break. And since they are college students they can show their followers how to do it on a budget! Ciara Johnson – Can’t forget about including just an overall great travel influencer! We’ve talked in the past about how some travel influencers have lost that authentic engagement that makes influencer marketing work so well, but that doesn’t mean there aren’t still genuinely great travel bloggers out there. Ciara is one of our all time favorites. Diving into cultures all over and talking authentically about her experiences in an approachable way makes her one of the most influential. Not only does she show you how to do it, but also why it’s important. Spring travel isn’t all about families and college students; as the weather warms up, everyone wants to plan trips! Hailey Devine – Another one of our favs – Hailey is not only a great travel influencer, but also an inspiring family influencer. Her and her globetrotting family of four are motivating others from all over to explore the world together. On top of that, being a couple of filmmakers, they can make a killer family travel video too. One scroll through their feed and you’ll be packing up the kids to fly across the world in no time. There are many reasons spring is one of the biggest time of year for travel, and influencers can be a huge help with those making decisions on where to go and who to book with. You don’t have to leverage just “travel” influencers. 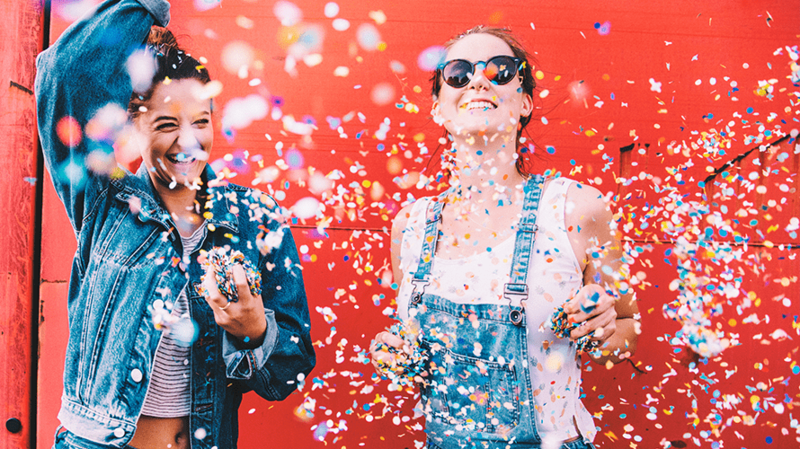 Family, college, party, or millennial influencers are some of the best to leverage for spring travel influencer campaigns too. Of course you can–but should you? First of all, this article is written for the company dipping its toes in influencer for the first time, startups without a huge budget, or just the curious brand manager wondering if they should start bringing influencer marketing in-house to save budget. Who is it not for? If you’re running more than a couple campaigns per month with a small team. Or if you’re in a highly regulated industry like banking or pharma, which requires a strong technical partner for content and comment monitoring. Or if the various departmental cogs in your company’s wheel move like the traffic in New York after the latest Snowpocalypse. Not sure? Read on – you’ll quickly determine if your team can hack going it alone. If you think you may be a candidate for DIY, then you’ll want to know the meta-level steps involved and where you’re most likely to get tripped up. As always, reach out to one of our team if you need some advice or find yourself jammed on a deadline. Finding influencers can take some time. In fact, plan on about 200 hours to find, recruit, and contract with your ideal influencers for a 5-10 influencer campaign. And this 200 hours is kind of like software development; you can’t just throw five bodies at the task and quarter the time needed because a lot of the time is waiting on the influencers to respond. Once you’ve found a list of candidates, you need to reach out to them via DM or email, if they’ve supplied it. Depending on the audience size of the influencer, you may be dealing with an agent, which has its pros and cons. requirements, payment schedules, competitive restrictions, and whatever else your legal team would like to throw in there. Once you have a signed agreement, it’s on to the fun stuff – the content! You’ll want to give the influencers plenty of time to create the content for your approval. If they’re in college, be aware of school schedules and give them a bit more time than a mom, food blogger or some other influencer who’s doing sponsored posts more or less full-time. Many use professional photographers and need time to arrange the shoot. Of course during the seasonal busy times (holiday, back to school, etc.) give yourself additional time to contact them. Create a calendar of the posts, based on the influencers’ best day and times to post and coordinate with your larger campaign, if applicable. Then just back plan, leaving as much time as possible to receive and approve the content. Heads up: you won’t have enough time, so figure out where you may be able to squeeze the timeline for those events within your control. For content approval, you’ll want to show drafts of the image or video and its caption to everyone on your team or in your company with a stake. If your legal team needs to approve, plan appropriately. Negotiate with your legal well before the campaign starts so you know your content will “pass” when you’re in crunch mode. It’s incredibly exciting to see all your hard work go live! Make sure you share the post(s) right away to everyone involved in the campaign, doubling checking that the approved draft is the one that was posted. Once the campaign is over, you’ll want to note all the ROI things: engagement, link clicks (if applicable), reach. If the campaign had a lot of posts, curate the top 3 or 4 and highlight those in your deck. Influencers can create some really incredible imagery – show it off. Depending on your tools you may need to note these things manually each day. If you’re using bit.ly for a link shortener be aware that that info can disappear after a certain time so be sure to pull it daily. Most all influencers are fine with getting paid after they’ve posted the approved content but aren’t going to be happy with your company’s normal net 30, 60, or 120. If you’ve contracted with Jay Z, terms might be different. Of course the payment terms should be in the contract but you may still face a hurdle with accounts payable if there’s an exception. Just make sure your accounting department is ready to write the check when it’s time. Unlike a digital ad, your influencer campaign is gorgeously human. Just remember that when all the humanness starts rearing its unpredictable head, stressing you out as deadlines loom. No joke; we have nearly 1 million influencers in our platform and even with this huge number, every campaign requires us to look outside of it. If your brand team is asking for hyperlocal, environmentally friendly millennials with young audiences located in Brooklyn and with 200,000 followers and a minimum 2% engagement rate, budget a whole lot more than 200 hours for the discovery. Also remember that it’s really the influencer’s audience that matters more than where they’re located. We’ve run campaigns with influencer located in Portland, but a majority of their audience is LA – match! Keep the requirements to a minimum – you’ll more than likely end up carving them down eventually anyway as deadlines approach. Unless you’re running a campaign for fast food burgers nationwide, you’re going start with a list of 50 potential influencers and end up with 5 or 10 that work for everyone. Now you have to recruit them. Can you afford to turn them away trying to negotiate the price or payment terms? It’s ideal to have backups but just isn’t always realistic if you’re starting without any existing influencer relationships or influencer pools. We use the saying, “people don’t read”, around Mattr. If your requirements are even the slightest bit complex, get the influencer on the phone or Skype and brief them through the contract, which ought to contain these requirements and guidelines. The risk is considerable: if an influencer needs to rewrite the caption or worse, re-shoot a picture or video, you could delay your campaign by weeks. The vast majority of influencers we use are professionally-minded, even if they have a full-time job. Treat them with respect and pay them on time. This means you need to hand-hold your accounting department through the process and keep the influencer informed throughout. Mark calendar events for yourself and check to make sure each has been paid on time. Of course, mistakes will happen so if you’ve developed a relationship with them, you’ll probably be forgiven. Now that you know the most common potential problems to plan for, how about some of those little details that can slap you on the back of the head when you were just about to sip that negroni? Remember that saying your old boss’s boss droned on about being great? That what separates the good from the great are doing the little things right? The most common problems cover most of what could happen. But some not-so common issues can pop up that you should not be surprised about. This is not very typical but can happen even if you do nothing to anger them. Remember: humans. This can also occur when agents are involved, who can do all sorts of things to complicate the transaction like pushing back on every edit you request. Their job is to advocate for the influencer right up to the brink where they don’t lose your business. Your best bet is to always have a pre-approved set of stand-ins. Sometimes people in your company have a stake in the campaign–but not as much as you. They may go on vacation right when you need them to approve content or an influencer. Best to ask the whole team ahead of time if anyone’s planning on being gone/unreachable during the workup part of the timeline. Make them provide a delegate even if they aren’t planning on being gone. It’s been said before, but your legal can really hold you up, especially if influencer campaigns are new to them. Make sure to sit down with them in person and explain all the elements of the campaign and don’t forget – sell them on the benefits of influencer marketing, don’t assume they even know what Instagram is. A successful campaign is one that hits all the marks: you reach your engagement goals, obtain super authentic content to re-use on your social, and forge some important ambassador relationships with influencers for future campaigns. Keep these tips in mind as you plan out your campaign and accept that something will definitely go wrong – hopefully these tips will help you deal with it! A plug: if you’re killing it doing everything manually and want to scale, take a look at our DIY platform, which provides so many little workflows and helpers it will scale your team 2-3x at a quarter of the price of the people needed. And, if this sounds like something you’d like to just turn over to experts who’ve run hundreds of campaigns, we can do that too with our full-service influencer marketing offering. 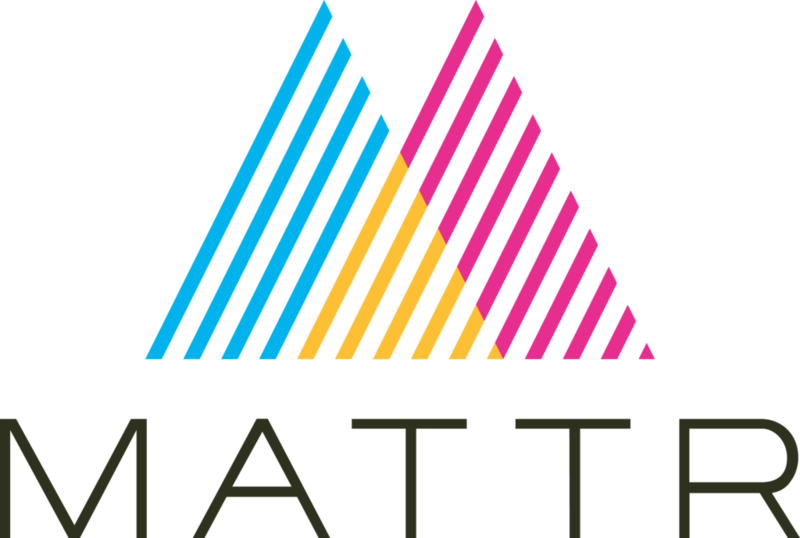 Today Mattr, the leading technology enabled full service influencer marketing provider, expanded the capabilities of its influencer marketing solution for highly regulated industries (HRIs) by adding an automated compliance monitoring feature for influencer content. All of an influencer’s campaign and non-campaign content and comments can be monitored both during and for several months after the campaign for non-compliance. This feature joins Mattr’s controlled content review feature for legal teams announced last year. For years, enterprise brands in HRIs such as banking, finance, healthcare, insurance, and pharmaceuticals, have struggled to deploy influencer marketing programs due to the legal restrictions they face in marketing their products and services. They have to pay very careful attention to what is said and not said in their marketing campaigns, making it difficult to allow external influencers to play any role in building their brands or supporting sales. Often times, providers of services like influencer marketing need to provide periodic data audits of social content and all of the associated public comments. Mattr’s content and comment monitoring feature provides compliance assurance for all enterprises, but especially those operating in HRIs, by giving them more control and insight into the content developed by influencers they partner with. Once a client marks the draft influencer content as approved for publishing, its URL is added to Mattr’s solution, where the live content and comments both reside. When the system catches a pre-defined keyword which would suggest non-compliance, an alert is issued to the Mattr team and client, who can then view the suspect comment in the Mattr platform and take appropriate action. In addition, all comments can be easily downloaded from the platform on demand.